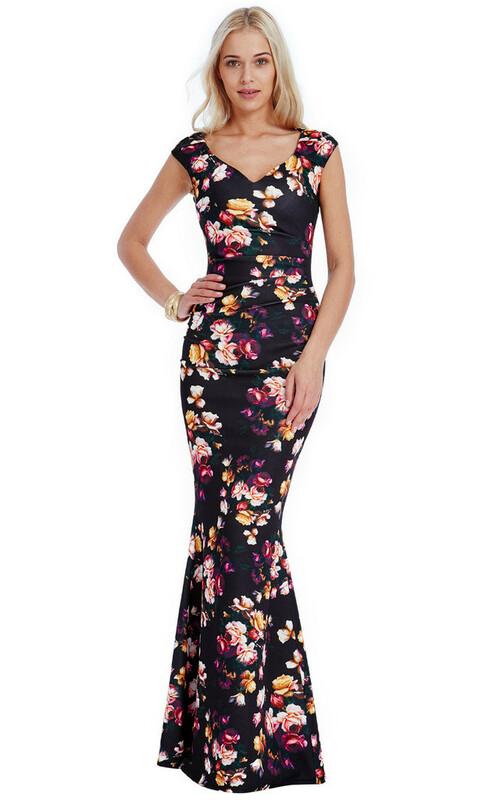 This stylish fitted maxi dress is perfect for a summer occasion in a stunning digital floral print. With its feminine sweetheart neckline and mermaid style skirt it gives this maxi dress a uniqueness that will make a statement at any event. Floral Print, Sweetheart Neckline, Maxi Length, Fitted Style, Pleating Detail on the Sleeves and Waist, Fishtail Hem, Zip Fastening.